Last edited by appicchato on Wed Feb 17, 2010 1:09 am, edited 2 times in total. Thank you for this great resource, Bhante! I've taken the liberty of moving it to the Theravadin meditation forum and converting it to a sticky for ease of retrieval. The links on the site don't work for me? If only I lived in Thailand...maybe one day..
Manapa wrote: The links on the site don't work for me? I did have a look on their but couldn't see any specific name relation to get to a coresponding page? makes it difficult for visitors to meet with and learn from the monks. development of a peaceful mind and wisdom. (about 40 mins). It is also possible to fly from Bangkok to Khon Kaen. be organized from Wat Pah Kanjanabhisek as required. he now usually spends the rainy season (Vassa). is more flexibility here compared with places like Wat Pah Nanachat. almsround early in the morning, the monks eat one meal a day at 8 am. In the afternoon there will also be drinks and sweets available. cases eating in the afternoon is also possible. bought in the town nearby. Best time is during the cool season, from November until February. I have done a retreat here and can highly recommend it to anyone. Very well organized and all done in English. It is done with the Dhammakaya meditation technique re-discovered by Luang Por Sod (Luang Pu Wat Paknam). Dear friends, after checking the links I found that the info about Wat Rampoeng where I stay and practice since long is not quite up to date, here is an update. Although living standards are european its rather tough due to the strict teaching and better for those who really want to practice than retreat tourists. pre-registration by calling Prah Chaibodin or mailing is recommended! 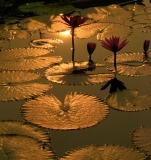 Location: The Insight Meditation Center is some kilometers northwest of Chiang Mai. The monastery is about 500 years old. On the grounds are a beautiful old stupa, a Tipitaka Library, Viharn, smaller clusters of buildings with individual rooms for meditators, kutis, kitchen and dining hall as well as some other buildings. Recently a new women section was completed with a wooden meditation hall. A lot of outdoor and indoor place for meditation is available. How to get there: From Bangkok take the night train (approx. 13 hs), bus, plane (approx. 1 h) to Chiang Mai. From Chiang Mai take a tuk tuk or shared taxi (red bus) to the Wat (depending on your bargaining skills, 100 Baht). Taxi from the airport to the monastery costs about 160 Baht. Tradition: Theravada, Vipassana meditation in the Mahasi tradition, rendered by Ajahn Tong. Teacher and abbot: Ajahn Suphan is expert of Abidhamma, and teaches westerners exclusively in a strict but very compassionate way. Friendly atmosphere. Meditators receive helpful and clear instructions for practice in daily interviews. 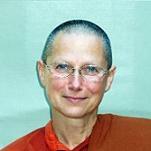 In Ajahn Suphan’s absence Bhikkhuni Agganyani teaches the westerners. Thai meditators do guided meditation in groups and have 3 different teachers. Technique and schedule of retreat: Intensive meditation practice. Meditators practice in their rooms or at a location of their choice. All meditators receive individual instructions. During the retreat, the four foundations of mindfulness (observing the body, feelings, mind and mind objects) are practiced. All arising phenomena are noted mentally. Initially, the primary object of meditation during sitting is the rising and falling of the abdomen and during walking the movement of the foot. Each period of meditation begins with a mindful prostration, followed by walking meditation and a sitting period. Walking and sitting periods are of equal duration. Beginners start with 10 minutes and gradually increase to an hour. Language(s): Interviews in English or Thai. Translation into German, Russian, Spanish, Chinese, Lao or Vietnamese can be given, if necessary. Duration of courses: For a meditator who comes for the first time to the center a retreat of 26 days is strongly recommended, 10 days is the minimum stay. After concluding the first retreat of full length (26 days) one can come for 10 day retreats at any time. Since courses are individual, there are no particular dates for arrival. Retreats start following an opening ceremony. Accommodation: Women and men live in pleasant small single rooms in separated quarters. All rooms have a wooden bed with a thin mattress. Blankets can be borrowed. Shopping: Items of daily use (toothpaste, laundry detergent, countdown timer, chocolate, etc.) can be bought in a small shop at the Wat. White clothing sometimes can be borrowed. Food: Breakfast (6 a.m.) and lunch (10:30 a.m.) are varied and of good quality. chillies. Deserts depend on the donator of the meal. After noon no meals should be taken, drinks such as soy milk, tea, drinking yoghurt are permitted. At five o’clock the kitchen team offers a soy-or other beans drink. Drinking water is filtered. Medical care: Very good by Asian standards. A doctor comes to the monastery. The closest clinics are in Chiang Mai, easy to reach in 5 - 10 minutes. The region is not considered malaria area, but in other parts of Thailand malaria is endemic. Hygienic conditions in the Wat are good. Specials: Bhikkhunis and Bhikshunis are welcome (please bring ordination certificate). As Wat Rampoeng is meditation center and monastery the meditator has the chance to partake in some of the ceremonies which are held regularly. Rules: Participants commit themselves to observe the eight silas (moral precepts). Clothing should be white, comfortable, and decent (no shirts or tank tops). Wake-up call is at 4 a.m. Climate and best time to go: November to March. Note: A warm jacket is useful during morning meditation. Silence should be kept at all times, except the interview with the teacher. No reading, no writing. Good conditions, intensive practice, and expert individual instruction. Interesting Thai documentary about young people who decided for the first time to join a meditation retreat at three different places: Wat Pah Sunandavanaram in Kanjanaburi (Ajahn Mitsuo Gavesako), Dhamma Simanta in Lamphun (Goenka center), Wat Somphanas in Sakol Nakhon (LP Thien center). They follow them and record their difficulties in adjusting to a new routine and environment. Some of the scenes are quite realistic, showing how hard it is to sit or walk for hours every day, and dramatic like when the person cannot take it anymore and wants to leave.